First Westminster Bridge, then Manchester, now London. What’s next? Do you ever feel overwhelmed, disheartened, and angry by all that is happening in the world? Do you wonder how on earth you could make a difference in redirecting our world, when some of the issues feel so gigantic? For me, I instinctively feel emotional, but when it comes to trying to be a part of the solution instead of the problem, where does one start? 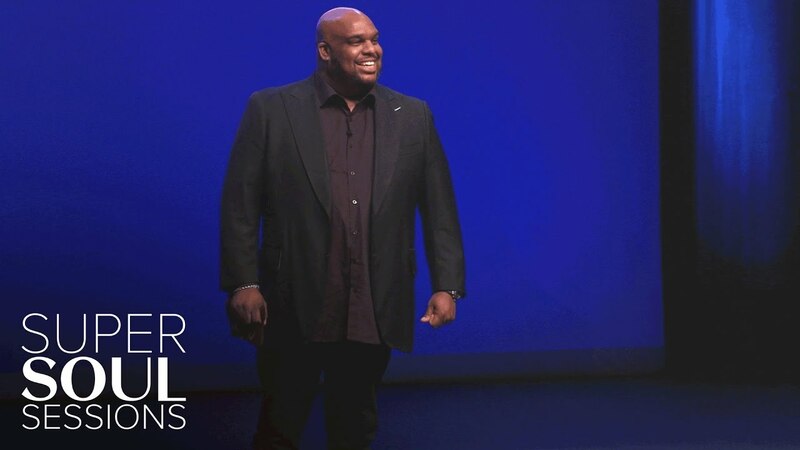 Pastor John Gray, comedian, singer and pastor, gave a brilliant talk last month at Oprah’s Super Soul Sessions around how to approach these emotions and it was life-changing. You can watch it HERE! The video is 23 brilliant, inspiring, hilarious minutes long. Note: Even if you’re not religious, I really encourage you to watch this. This talk is so applicable to everyone. This talk is entitled The Bridge. John Gray explains that it is “an exchange of ideas, a place of interconnected humanity where you can have a have dialogue without the fear of being judged or maligned for a personal ideology. A bridge itself is a span that allows two fixed points that would never connect to have an ability to meet over objects and impairments that would normally keep these two fixed objects from meeting.” Pastor John Gray goes on to discuss how using this principle could create a positive pattern interrupt in our political divide. This fascinates me. Where it gets even more real is thinking about this concept and how, ultimately, it relates to you, to me, to our children – the legacy you want to create, experience, and eventually leave behind. Pastor John Gray continues to talk at a macro level, but for all intents and purposes, I’m inviting you to get micro for a minute. If you really want the world to change, then it starts with personal responsibility and examining your own mindset. For example, you invite another couple over for dinner and politics comes up. Before you know it, one of your guests has a completely different view than you. You’re almost shocked. How could it be? You’ve been friends for such a long time, and yet you had no idea. Before you know it, you find yourself in a ego vs. ego conversation where you’re each trying to one-up each other on who knows more and what’s actually right. But it’s not true. You’re letting others dictate how you feel. This is a hard way to live. It’s like being towed behind a speedboat and not knowing how to water ski. In my experience of coaching hundreds of smart, driven women, and as John Gray so poetically puts it, we can change things if we’re able to come down from our high place. That place which immediately says, “I’m right” and, “You’re wrong” and, “Shame on you for not seeing it my way.” Instead, what would happen if you were to recognize that the other person in front of you is a human being with a soul and has an entire life history that has shaped their beliefs, patterns, and ways of living? Instead of getting upset, choose your bravery cape and take responsibility for yourself. This, my friends, is the only way we can live in a world where others have different points of view. What if you took ownership of how you saw the other person in front of you and, instead of judging them, wronging them, critiquing them, you did the opposite? What’s possible when you stop trying to convert someone and, instead, try and connect? The obvious places this comes up is in discussions about politics and religion. But, where else do you personally try and steamroll someone else instead of accepting and meeting others on the bridge? The bridge is the common space., the space that accepts different points of views and allows for possibility instead of more fear. This practice can lead to healing and ultimately change. Could you imagine what would be possible if you approached your work, marriage, friendships, motherhood, and strangers this way? The next time you find yourself opposite someone who has a very different point of view, and you instinctively assume they’ve got it all wrong, rather than falling victim to how they make you feel, how can you highlight their humanity, without highlighting their brokenness? In other words, how can you treat them with the real kind of love? You know, the kind that has you drop your guard, set aside all judgment, and lean in closer with curiosity; the kind of love that you don’t toss aside because you don’t see eye-to-eye; the kind of love that has you say, “Tell me more.”; the kind of love that has you step out onto that bridge, ignore your fear, and see this person as a human no different than you. If you are hungry to leave a legacy that has compassion, connection, and love at the center, this is where you start. Take responsibility for how you are showing up and begin to build bridges in every area of your life that needs it. In the words of Pastor John Gray, “Focus on being relational, relatable, and relevant if you want to build a bridge and, by the way, get ready to be uncomfortable. This will stretch you way beyond your comfort zone. You and I both know this is where all the miracles happen anyway. Will you be courageous enough to share with me how you go about building a bridge in your life? Email me directly at Sarah@consciousworkingmama.com or post in the comments below. If you want me creating your legacy and experiencing the joy of living it, don’t be afraid to email me and ask for a complimentary conversation where we will get dive straight in and create.